Click here for the Dorset County Council Interactive Catchment area map. By entering your postcode you can check if you live within the Woodroffe School catchment area. 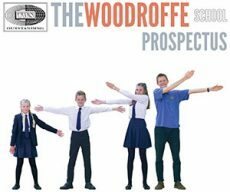 All Woodroffe School Admission information is available to download. If you are unable to find specific information relating to the your admission enquiry within these documents, please contact Mrs D Mattock on 01297 442 232 or via email dmattock@woodroffe.dorset.sch.uk. For children moving into the area part way through a school year, or in September but outside of Year 7, please contact Mrs D Mattock on 01297 442 232 or via email dmattock@woodroffe.dorset.sch.uk, for an ‘In Year’ Admission application form.